The Mobile 620XR hp is a portable X-ray screening system with a 620mm wide by 420mm high tunnel opening, featuring large shock absorbing pneumatic wheels for easy transportability. 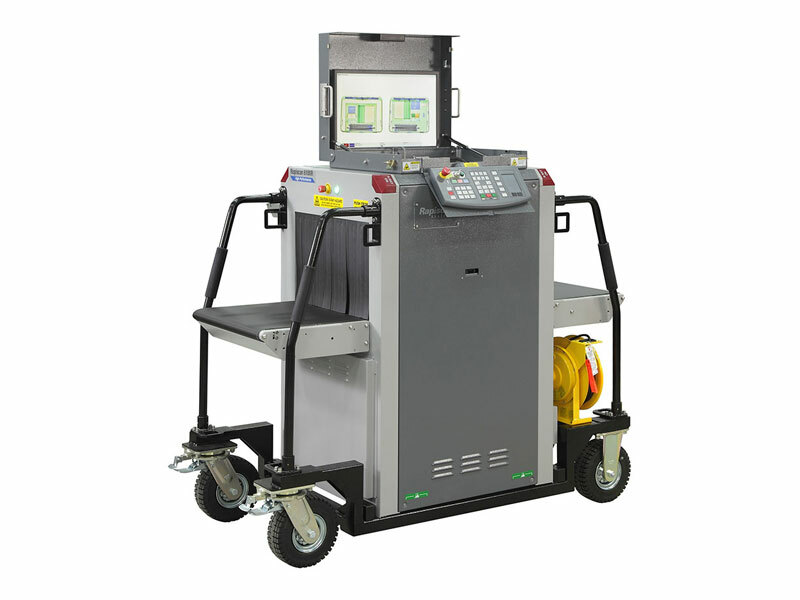 Based on an established legacy of innovation, quality and reliability, the Mobile 620XR hp provides an array of technologies designed to assist the operator in threat detection as well as improve throughput and operations for checkpoint security screening applications. The Mobile 620XR hp is designed for rapid relocation and can be wheeled through narrow doorways, making it an excellent system for cruise lines, schools, prisons, and event-based security environments. The Mobile 620XR hp complies with all European Commission Aviation Security Screening requirements and French Civil Aviation Authority (STAC). Mobile 620XR hp is in full compliance with the mandatory regulations (EC) No. 300/2008, (EU) No. 185/2010 and Commissions Decision C(2010)774 for aviation security in the European Union. Mobile 620XR hp is supported by a rigid-steel structure, and is equipped with painted handles at its sides and large pneumatic caster wheels at its base for ease of maneuverability. The wheels enable operators to move the Mobile 620XR hp easily, and offer a locking function to achieve stability and security during use. A lockable, easy slide out control panel tray and monitor is securely located on top of the system.